CMH Suzuki Umhlanga-Ballito Satellite Dealership Coming Soon!!! Success can be measured by growth, and nothing exemplifies that better than opening a new branch. CMH Suzuki Umhlanga would like to proudly and excitedly announce our new satellite branch coming soon to Ballito. The North Coast will soon enjoy and experience the very best in customer service that CMH Suzuki Umhlanga strives itself on. 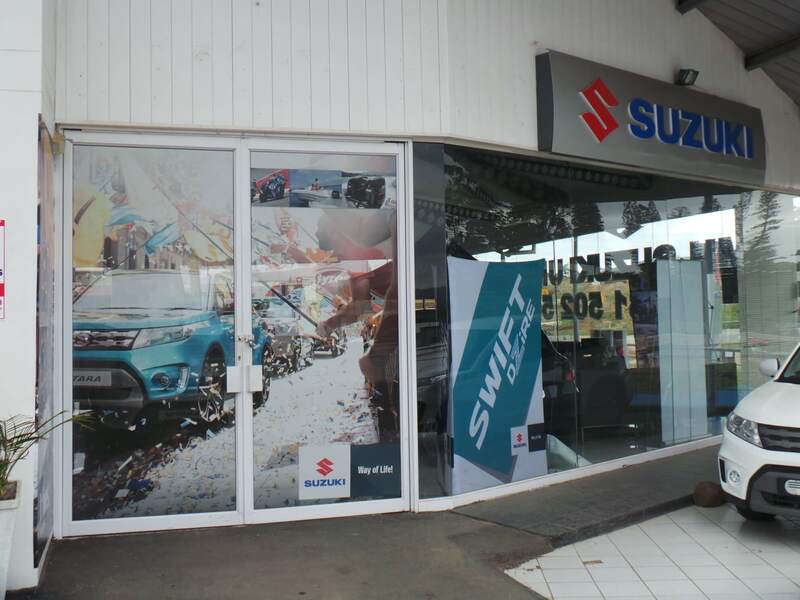 Retail in the traditional sense is changing, and keeping up with modernization and technological advances is imperative to CMH Suzuki Umhlanga, hence the decision to provide professional and a convenient service point for all your Suzuki related requirements via our Ballito satellite dealership to residence of the North. As a marquee under the CMH Group, our success as a Suzuki dealership is built on the core values of creativity, commitment and enthusiasm, keeping our customers desires at the heart of everything we do. We strive to lead the way through constant innovation and a premium customer experience, setting new standards that define 100% customer satisfaction. With this in mind, our Ballito branch will be a full-functioning dealership offering a full and comprehensive sales service. From a state-of-the-art showroom, test drives, offer-to-purchase, document exchanges and motor finance advice, we will extend that impeccable service that CMH Suzuki Umhlanga has become renown for, to the Ballito branch. OUR GOAL: To be a dealership of choice to the Dolphin Coast. We strive to provide outstanding service levels to our customers, offering a wide range of New and Pre-Owned Suzuki motor vehicles with excellent after sales service. Affordable luxury and unrivalled reliability has never been more attainable than behind the wheel of a Suzuki. Call 0877277113 or visit www.suzukiumhlanga.co.za for more info. “All dreams can come true if we have the courage to pursue them” – Walt Disney. A befitting quote for a truly enigmatic and goal-driven individual, Mrs Alice Naidoo, CMH Suzuki Umhlanga’s Finance & Insurance Manager. 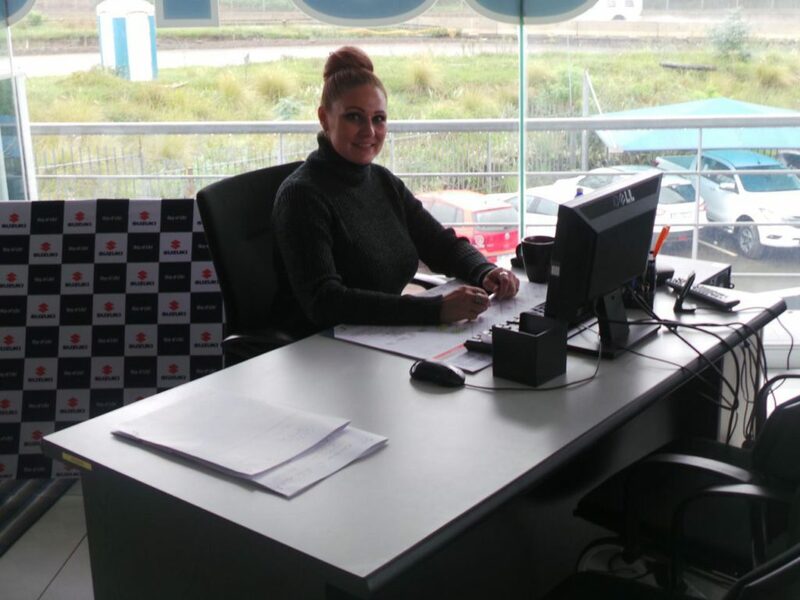 At a young and tender age Alice joined the constantly evolving motor industry in the sales sector. Her passion for people, cars and number-crunching has earned her a very impressive and illustrious 20 year and still counting career in vehicle sales and finance. Being a mom, wife and a full-time employee, not forgetting studying, required some serious juggling skills, which has now instilled in her unmatched and unrivalled problem-solving and analytical attributes. Her distinguished qualifications towards becoming a Finance & Insurance manager have exemplified her tenacity to get the right deal structured the right way for the right client. 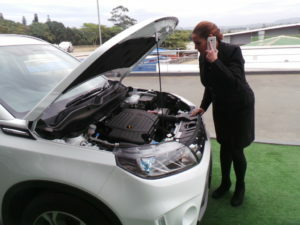 Her accurate and incredible analytical abilities have also earned her a very impressive reputation within the CMH Group and the national motor industry. Her ability to remain within guidelines yet help the customer in every way imaginable has also made her a very accomplished individual. For unrivalled deal-structuring, impeccable service and professional and intellectual financial motor advice, meet and speak to Mrs Alice Naidoo@ CMH Suzuki Umhlanga. CMH Suzuki Umhlanga, the right place for the right vehicle with the right service at the right price! 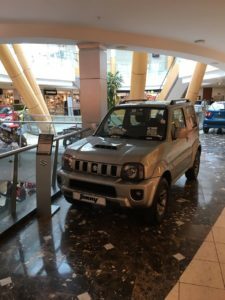 CMH Suzuki Umhlanga recently joined in on the motoring-madness @ The La Lucia Mall Motorshow 2017! A weekend packed with high-revving excitement, lucky draws, gorgeous cars….and models. Our Suzuki stand (as usual) created quite a stir, with the iconic Suzuki Jimny 4×4 and the latest addition to the Suzuki model range, the #LikeNoOther Ignis. 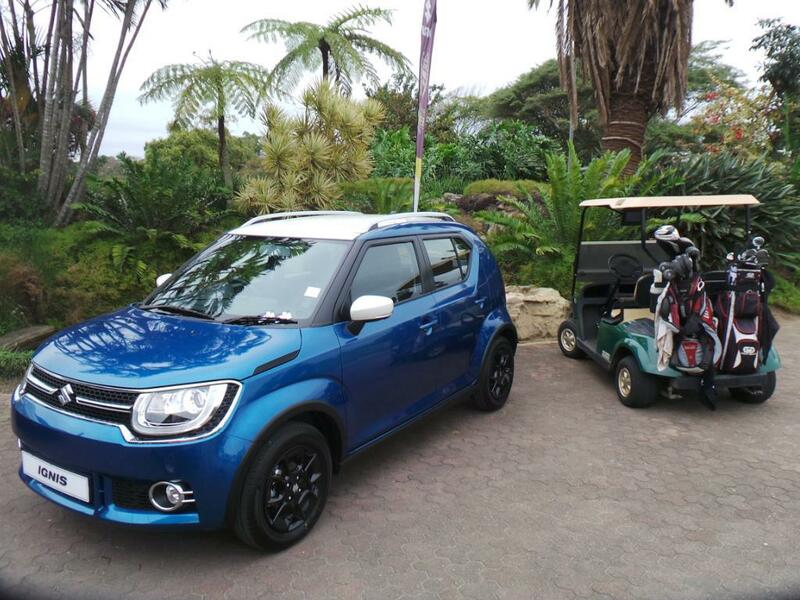 “The Ignis was truly a show-stopper!” Luke Stoffels, CMH Suzuki Umhlanga New Vehicle Sales Executive. Many people have already heard about the well-packaged, great-value for money Car Of The Year Finalist. For some, it was their first time seeing the compact-crossover, but everyone was blown away by its looks and standard features. Some of the aspects that people loved most were the fact that it’s so easy to park because of its size, but still, allows you to feel like you are driving a bigger vehicle due to its ground clearance and the fact that it offers such great fuel economy. This amazing car has been selling so well! Sales are sure to continue soaring with such positive feedback from the ones who matter most, our Customers! We met some new and seasoned Suzuki customers throughout the weekend who really love their vehicles and thoroughly enjoy the adventures that they get to experience since joining the Suzuki Family. Whether hitting the beaches in Mozambique, climbing up Sani Pass or buzzing around town, Jimny customers love getting behind the wheel. With the new customers that we met, it was also only positive. 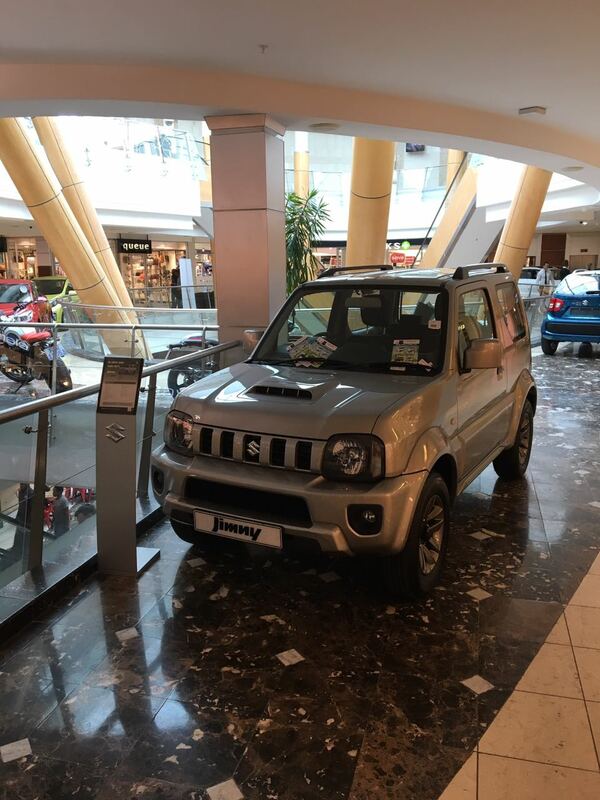 The Jimny is always a favourite and was a huge hit at La Lucia Mall…..again, with many people saying that it’s a vehicle that they have always loved. So, Team Suzuki Umhlanga would love to thank everyone who visited our display at La Lucia this past weekend and we look forward to seeing everyone again when they come in for the test-drives, those who haven’t already (some were just too excited to wait) and of course, when they come in to drive off in their new Suzuki’s and join the Suzuki Family. For sales, parts and service, call CMH Suzuki Umhlanga for ALL your vvehicle-relatedneeds and queries. For hassle-free and peace-of-mind service, quality workmanship and the most competitive prices in KZN, call 0816473558 or click on the link below and experience the #Suzuki #WayOfLife! With the beginning of the final quarter of 2017 and the holidays not too far away, packing your vehicle for road-trips and vacations can be somewhat tricky and can compromise safety. Here are a few tips for safe packing methods and preparing for unforeseen hiccups along the way. 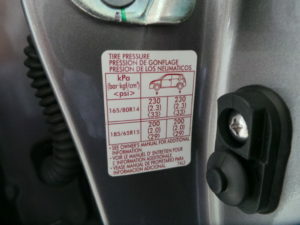 Make sure your tyre pressure is adjusted according to the manufacturer’s specs. Remember that the tyre is the only part of the car that touches the ground, therefore, it is essential to have these in tip-top shape. Remember that your stopping distances will increase exponentially and that a heavy car has more momentum than an unladen one. • IS THE LOAD SECURE? Make sure items won’t be rolling around – keep them safe and secure. 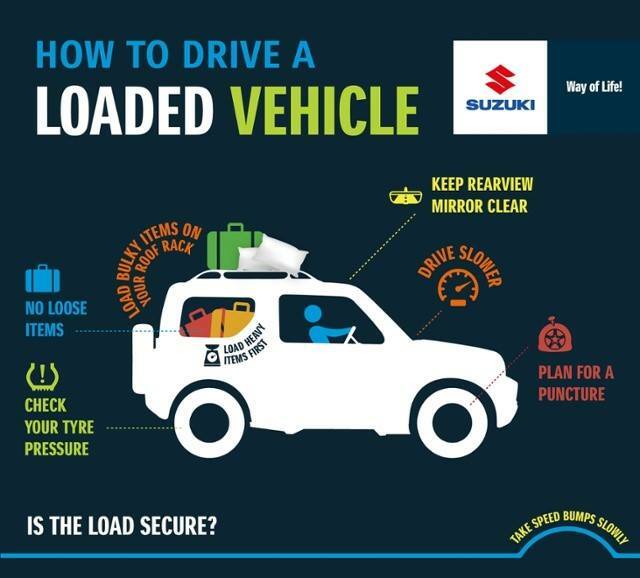 Load heavy items first – this helps with stability and more predictable handling of the car. Be sure to distribute the weight evenly. For example, don’t have heavy suitcases on the left side and pillows on the right. Keep your rear view mirror as clear as possible from obstacles. More visibility is always better. How will you get to your spare tyre or jack if you have a puncture? 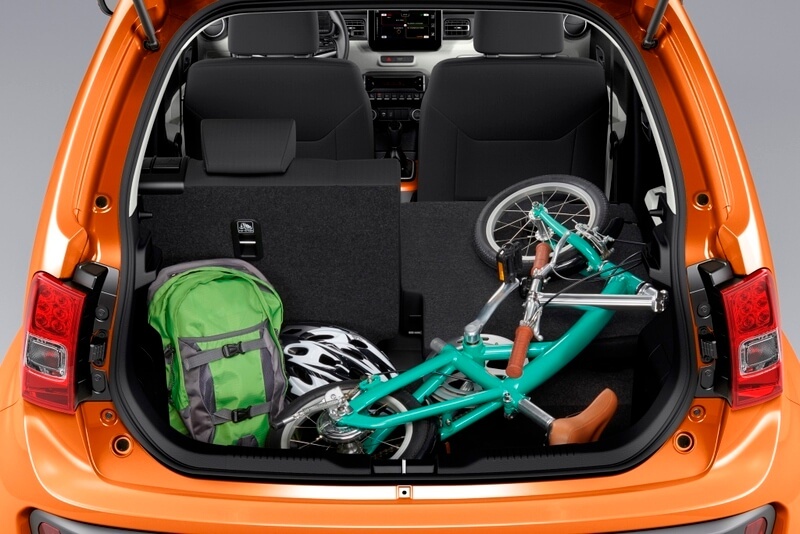 You very well might have to unpack the car, but make it as easy as possible for yourself. Consolidate your bags so they’re easy to load and unload. This is the best place to put bulky but light items, like pillows. Remember to keep to the weight and size specified on the rack. Take them slowly! Your suspension has less ability to soak up bumps and could be damaged. Slow and steady wins the race in this case. Always inspect your vehicle for visible faults and defects before embarking on any journey. It is advisable to service your vehicle at an approved and accredited service centre to ensure all work carried out is of the highest quality and workmanship and only original parts are fitted. Visit CMH Suzuki Umhlanga service centre for the very best in service and price. Customer satisfaction is guaranteed. 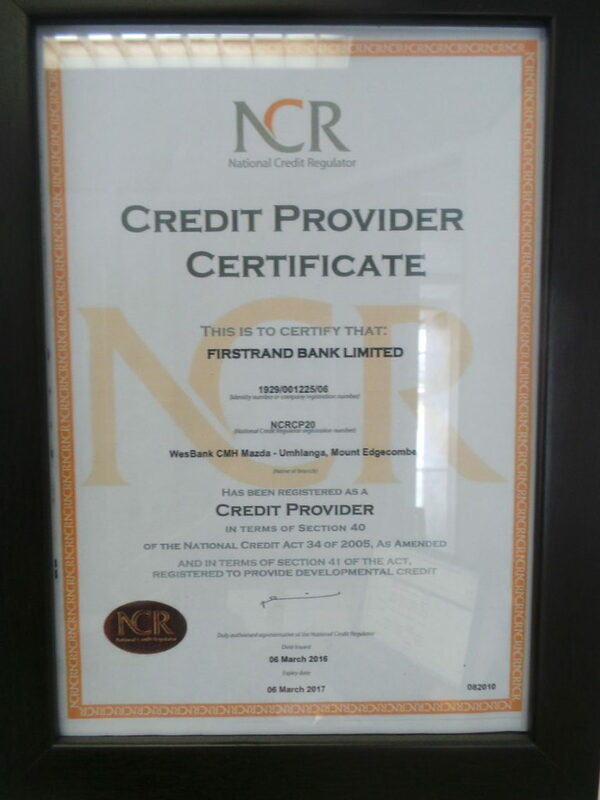 Call us on 0816473558 or follow this link. 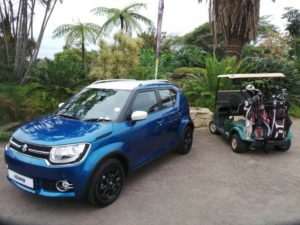 CMH Suzuki Umhlanga were proud sponsors of the UUST Golf Day hosted @ The Mount Edgecombe Golf Course on the 17th August 2017. Friendly competitiveness & a whole lot of entertainment was the order of the day. CMH Suzuki Umhlanga is dedicated to providing the very optimum in service delivery and information. 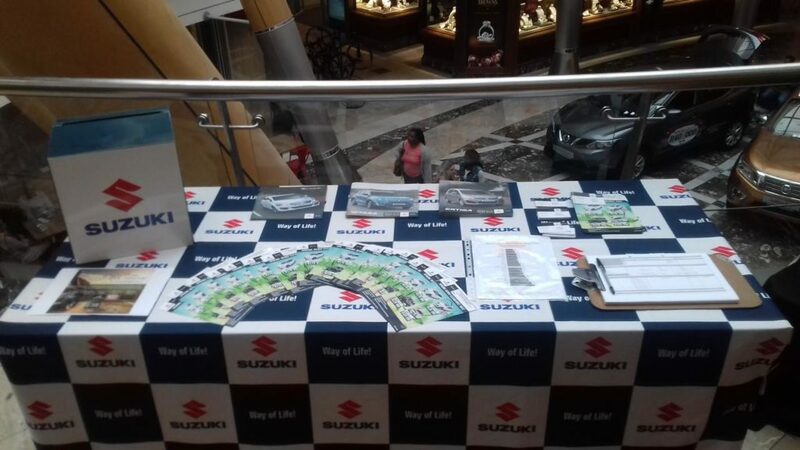 Creating brand awareness and exposure is vital in promoting the Suzuki #WayOfLife! Our fleet of affordable yet unbelievably luxurious vehicles caused quite a stir @ The Mount Edgecombe UUST Golf Day. 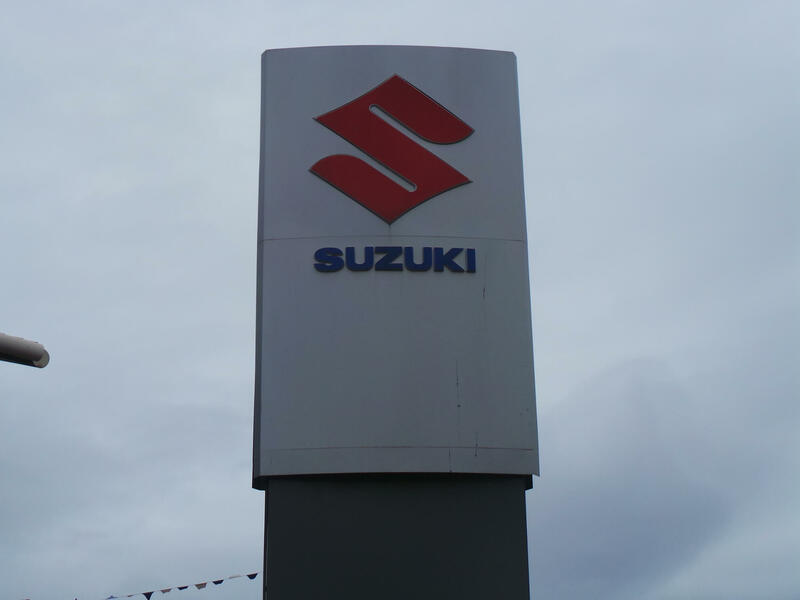 The Suzuki flags were hoisted high and the pure awesomeness of our vehicles could be felt in the air even in the rain! Our incredible team were in attendance providing enthusiastic and curious golfers with all the information regarding our display vehicles. The vivacious Suzuki Vitara ALLGRIP in an elegant Ivory & Black combination hands-down stole the show….once again. A true piece of automotive mastery, the Vitara is a culmination of beauty and brains. Suzuki’s new modern design platform is very evident in the Vitara making it truly stand-out on the black top. Premium leather & suede seats, quality build materials and an array of sophisticated electronics bumps the Vitara up to class of it’s own. 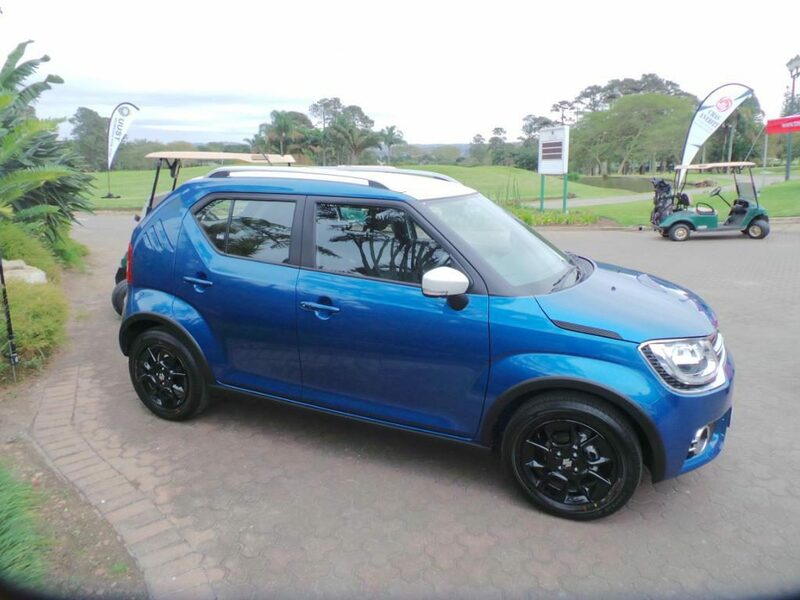 Another big hit was the truly #LikeNoOther Suzuki Ignis. A true gem from the Japanese giant’s stable to arrive in South Africa. The fresh and funky feeling of the Ignis exterior is very appealing and the interior is nothing short of being totally opulent. The flagship GLX model was on display in a delectable Tinsel Blue & Midnight Black Pearl 2-tone combination.The Ignis caused quite a hype when the enthusiastic started learning about how technologically advanced this new arrival really is. 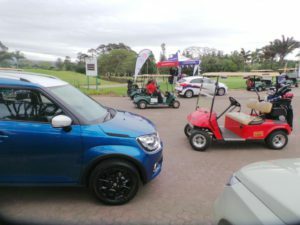 The public and golfers alike were enthralled by the diversity, professionalism and courtesy of CMH Suzuki Umhlanga staff. Although the weather could have been much more better, the day went off without and hitches and can be considered to be a mighty success. 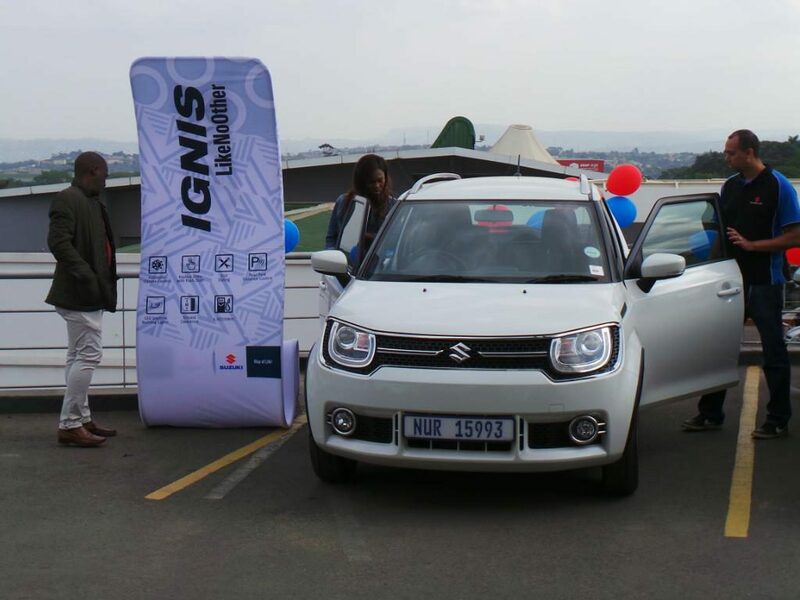 CMH Suzuki Umhlanga Launches The All-New Ignis! Years of enthralling the arrival, months of nail-biting anticipation and a culmination of weeks of careful preparations have finally narrowed down to this point. CMH Suzuki Umhlanga hosted the ALL-NEW Suzuki Ignis launch on the 1st & 2nd July 2017 at our state-of-the-art dealership. The weather was perfect, enthusiasm and excitement levels sky-rocketing and energetic staff members all banning together to get this incredible event off to a fantastic start. 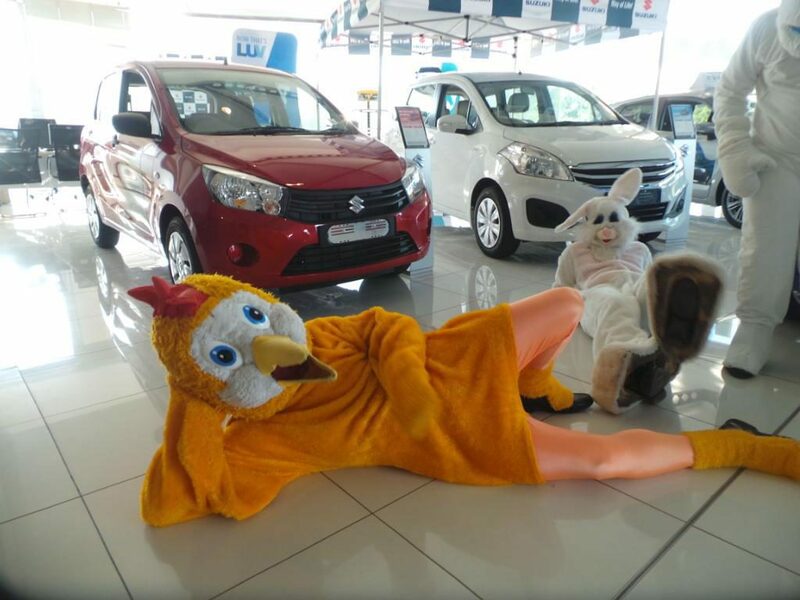 As anticipated, the public and fellow loyal Suzuki customers showed up in hoards to take advantage of the totally insane specials we had to offer on that weekend and to experience the incredible ALL-NEW Suzuki Ignis. Apart from the outrageous deals going on, there were delicious wors rolls freshly prepared for all to enjoy while they browsed through our inventory of quality vehicles. 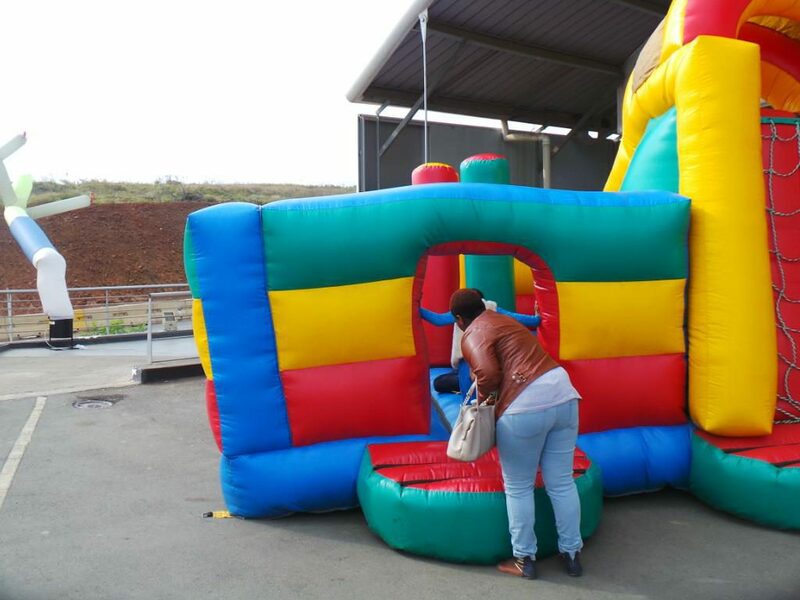 While the parents crunched some numbers with our finance manager and did test-drives in the #LikeNoOther Ignis, the kiddies enjoyed a beautiful Saturday and Sunday on the jumping castle, so much so that it inspired some older folk to give the jumping castle a try. Nifty Suzuki hampers consisting of fashionable Suzuki memorabilia were also given to the first people that arrived and did test-drives in the new Ignis. An incredible ambience was complimented by some cool background music that got some of the kiddies dancing and shaking all about. A weekend that was planned and executed perfectly could be measured by the mere feeling in the air around the dealership. With balloons everywhere, a sky-dancer waving through the Mt Edgecombe air, music echoing, the smell of wors on the braai and just good vibes further exemplified the CMH Suzuki Umhlanga ethos,…”We are family, so welcome to the #SuzukiFamily”. At CMH Suzuki Umhlanga we don’t just sell cars, we provide you with a lifestyle. Our paramount requirement is to ensure customer satisfaction and by hosting such events as vehicle launches, it creates an emotion of belonging compared to just being a car dealership. From our managers, salesman to Dealer Principal, you can expect respect, courtesy, a huge smile, professionalism and impeccable service. These features come standard @ CMH Suzuki Umhlanga. Severe weather can be both frightening and dangerous for automobile travel. Motorists should know the safety rules and prepare for winter road emergencies. • Never warm up a vehicle in an enclosed area, such as a garage as the exhaust emits poisonous fumes. • Make certain your tyres are properly inflated, oil water and all fluid levels are correct. • Do not use cruise control when driving on any slippery surfaces. • Always make sure your vehicle is in peak operating condition by having it inspected by an Approved Auto Repair facility. • Pack a cellular telephone with your local emergency telephone number, plus blankets, gloves, hats, food, water and any needed medication in your vehicle. • If you become stranded, stay with your vehicle. It provides temporary shelter and makes it easier for rescuers to locate you. Don’t try to walk in a severe storm. • Don’t over exert yourself by trying to push your vehicle by yourself. • At night, keep the dim or fog lights on if possible. It only uses a small amount of electricity and will make it easier for rescuers to find you. 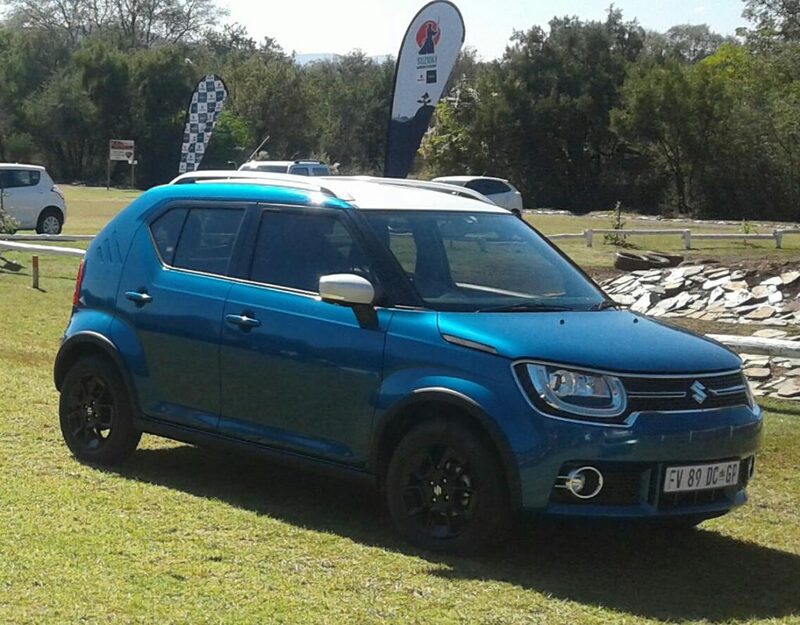 Excited, enthusiastic, curious, and taken-aback were some of the sentiments shared at the official release and product training of the ALL-NEW model Suzuki Ignis recently hosted at Hartebeespoort Dam in Gauteng this month. 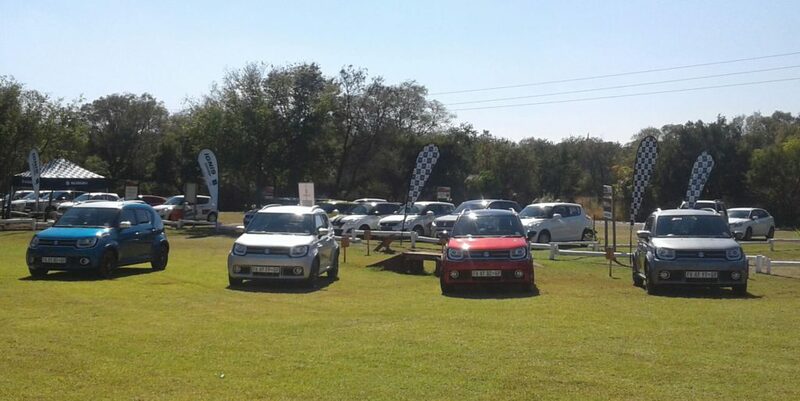 CMH Suzuki Umhlanga was in full attendance at this motor market-changing event. 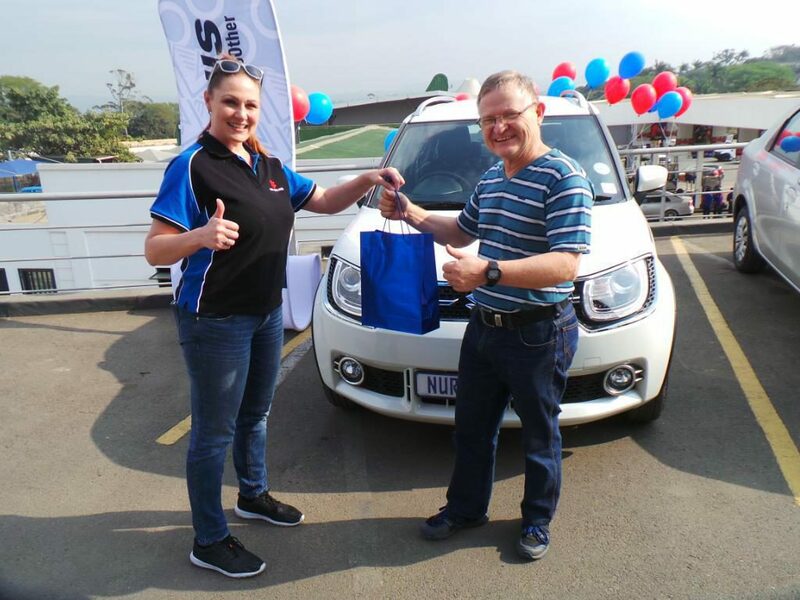 Luke Stoffels and Anneline Burger, aptly known as the Suzuki Guy & Suzuki Chick respectively eagerly shared their thoughts on the new Suzuki Ignis. • Your personal comparison between other similar segment rivals? 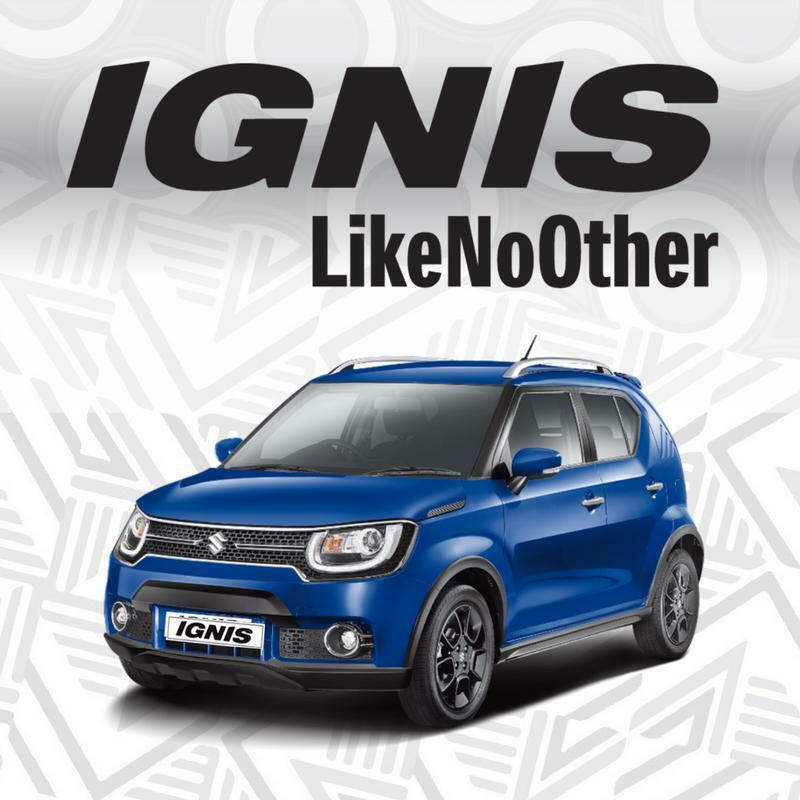 The Ignis really is #LikeNoOther – Generous in size, space, capacity, economy, practicality and ticks all the boxes. It has great handling on and off-road, coupled with great ground clearance. It’s a true crossover, that’s not restricted to the city streets. • What features/trimmings/accessories that you find awesome? The vehicle is completely customisable with colour panels on the inside, trim accessories on the outside and so much more. So you can really make your Ignis like no other. It has aircon, power steering, electric windows, ABS and electric mirrors. The LED lights around the headlights are an added bonus on the GLX models and looks really cool. Additional features of the GLX are, Rear PDC, Keyless Entry, Keyless Start/Stop, Bluetooth, Mag Wheels and LED Projector Headlamps. The clamshell bonnet and fender trimmings add a touch of class and added safety to our already amazing product. • Why choose the Ignis instead of and Mahindra KUV 100, Ford Figo hatch, Hyundai i10 or Hyundai Grand i10? Suzuki is reliable, economical, practical, functional, safe and fun. 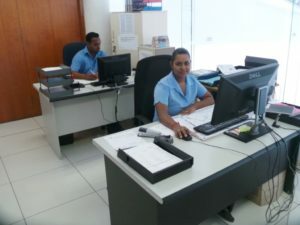 We pride ourselves in Quality, Service and After Sales Service. The Ignis is a perfectly designed, tiny bottle of dynamite! The Ignis looks like no other, drives like no other and feels like no other. It’s the only vehicle in its segment that is fully customisable. The interior is spacious and leaves generous leg room and overhead space for the tallest of people. The dash and steering wheel are very practically designed and is free of clutter, with all the necessary bits in the right places. All functions are easy to operate. The fresh interior design and colours match the funky exterior perfectly, but it can be customised as well. • What demographic will the Ignis appeal too? Your personal sentiments on who should we concentrate when marketing. 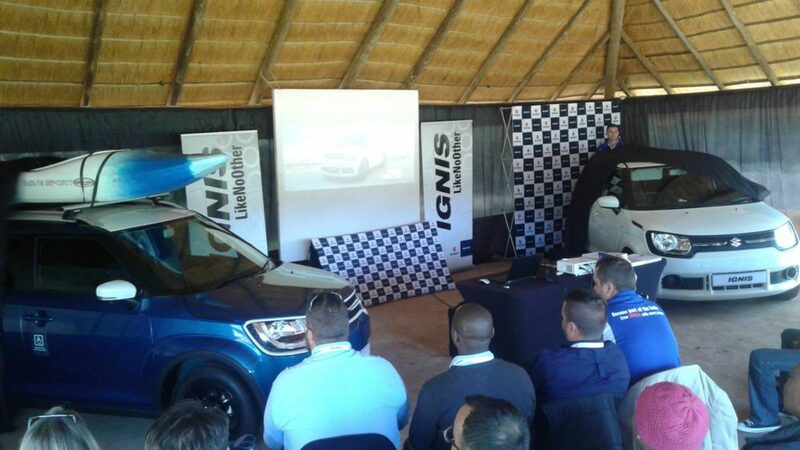 Young, hip and sporty vs practical, logical and active will all enjoy the functionality and capability of the Ignis. The Ignis will appeal to those making an emotional and those making a practical one. It ticks all the boxes, especially for first adopters that are looking for something different. 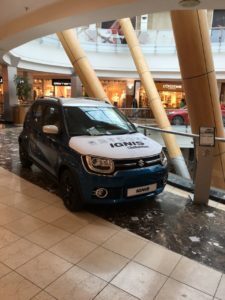 The Ignis is affordable, compact, capable and packed with features far surpassing our competitors. The Ignis has strong Suzuki roots, with characteristics from our previous icons, yet built on our latest platform. It’s great value for money. 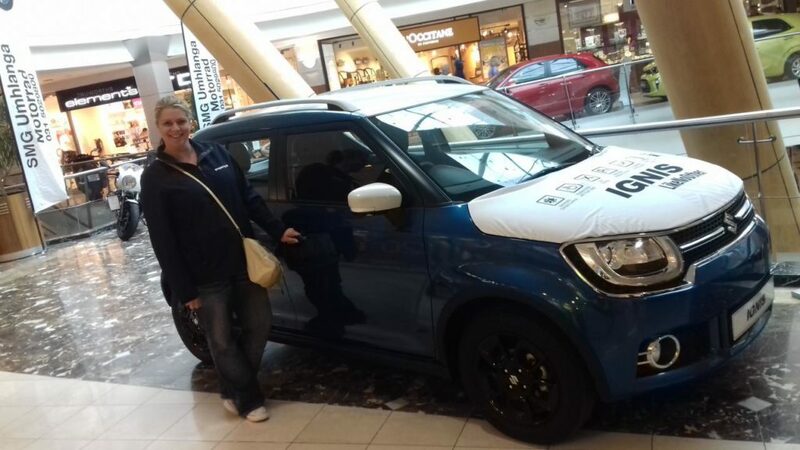 The fantastic ALL-NEW Suzuki Ignis can be test driven @ CMH Suzuki Umhlanga! Come in and experience the Suzuki #WayOfLife. 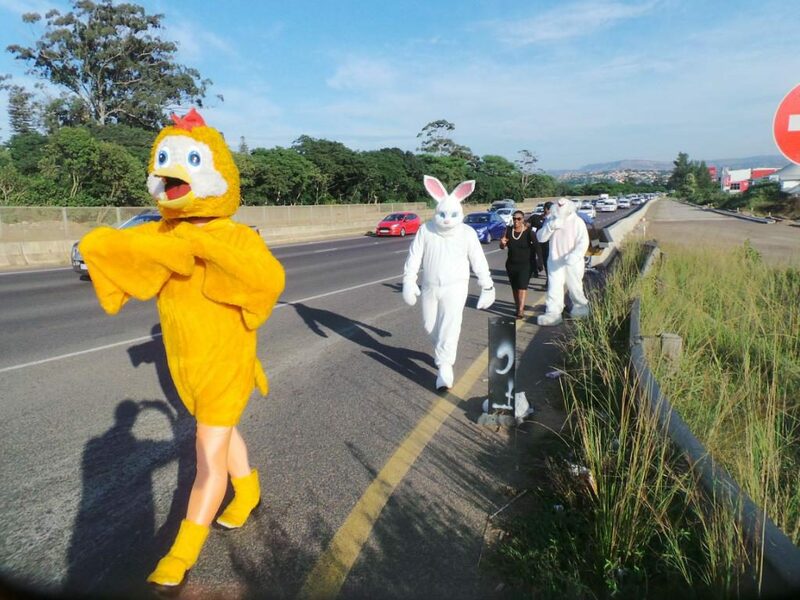 That was our Thursday 13th April morning as our amazing staff displayed immense comradeship by jumping into Easter bunny and chicken mascots to hand-out delicious sugary Easter treats to motorists on the M41. 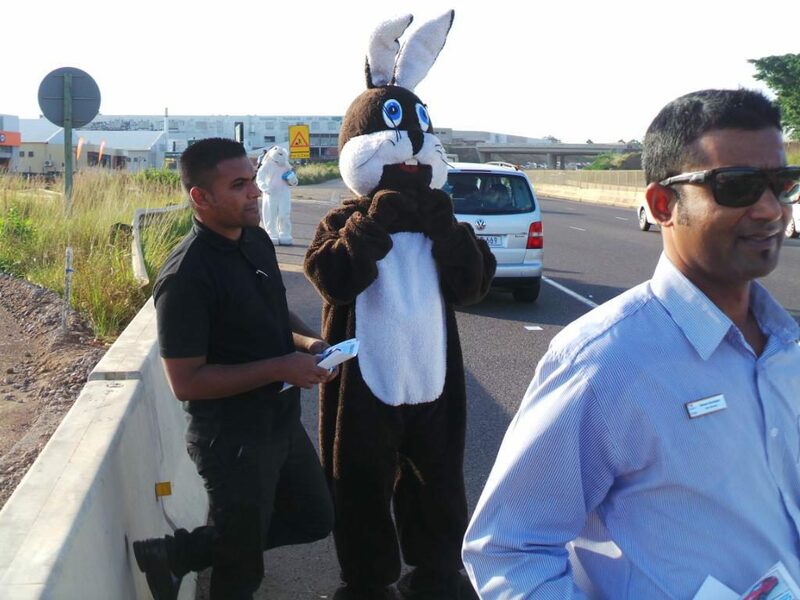 Our jovial team surely enjoyed themselves and provided traffic-stricken motorists with some entertainment during their morning commute to work. 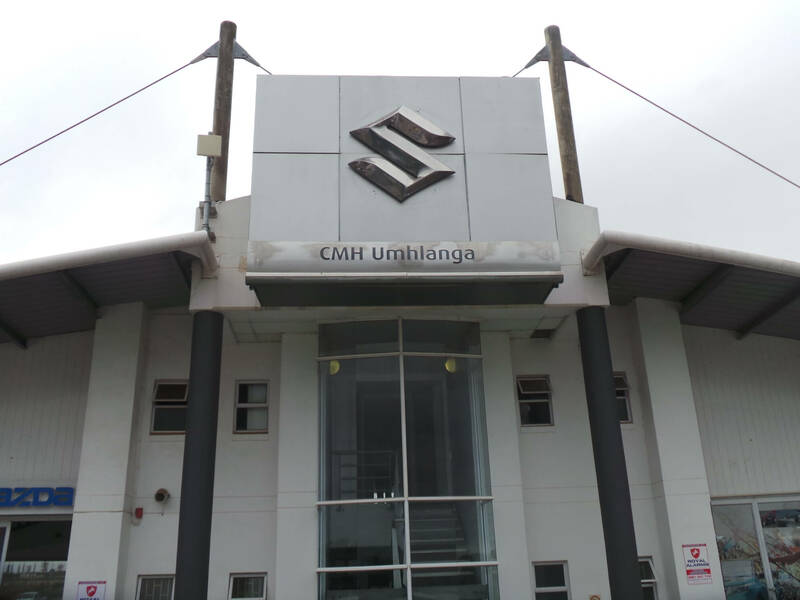 CMH Suzuki Umhlanga believes in interacting within our community and an ethos of giving and not only receiving has created a valued and mutually beneficial relationship with us and the surrounding communities and businesses. 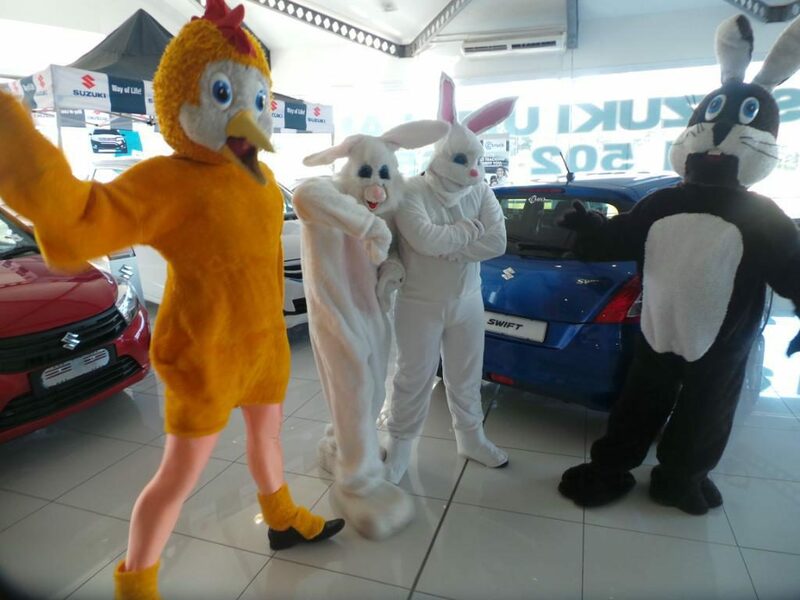 Sales executives, service advisors, technicians and even managers braved the morning sun and got involved all in the common purpose of spreading some Easter cheer. 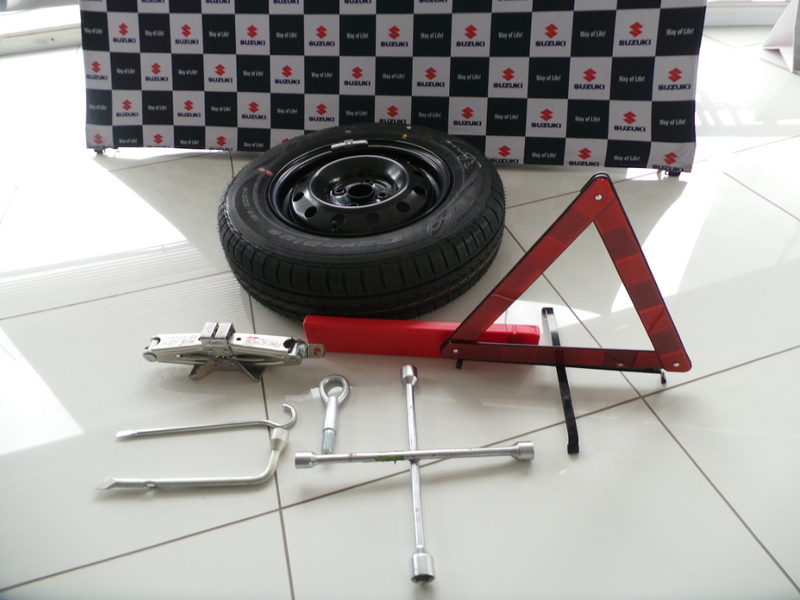 These caring and quality attributes are the very tools our staff utilize to ensure CMH Suzuki Umhlanga customers are always treated with respect, courtesy and customer satisfaction is guaranteed. The smiles on our customer’s faces were all the gratification we need at CMH Suzuki Umhlanga to continue with a warm and caring sentiment. The kiddies were equally entertained with our energetic bunnies dancing amidst the traffic and even posing for some pictures taken by motorists. The fun doesn’t stop there either for the kiddies. CMH Suzuki Easter Colouring Competition received more than 50 entries submitted from little aspiring artists across the Umhlanga and Durban North region. Winners will be announced at the end of April. A chance to show-off their completed 2017 Suzuki Jimny colouring masterpieces on many platforms. From Sales to Service, Parts to After-sales, CMH Suzuki Umhlanga always puts you and your needs first. “We need you, you do not need us”, the saying that is instilled within us and keeps us super-motivated and to always up our game and service. If it’s vehicle related then it’s our business. Subscribe to our newsletter on www.cmhsuzuki.co.za and follow us on Facebook, Google+ and Twitter and stay informed about all the latest specials currently on offer and other awesome activities happening at CMH Suzuki Umhlanga…your preferred and approved vehicle dealership and service centre. From bright smiles and freshly brewed coffee, our reputable dealership strives to ensure that all consumers get an exceptional customer service experience when shopping at CMH Suzuki Umhlanga. This is seen from all of the positive testimonials that drivers from KZN and the surrounding areas have written about us. Our staff will even take the time to read feedback and respond to customers to provide overall satisfaction. We are here for you! 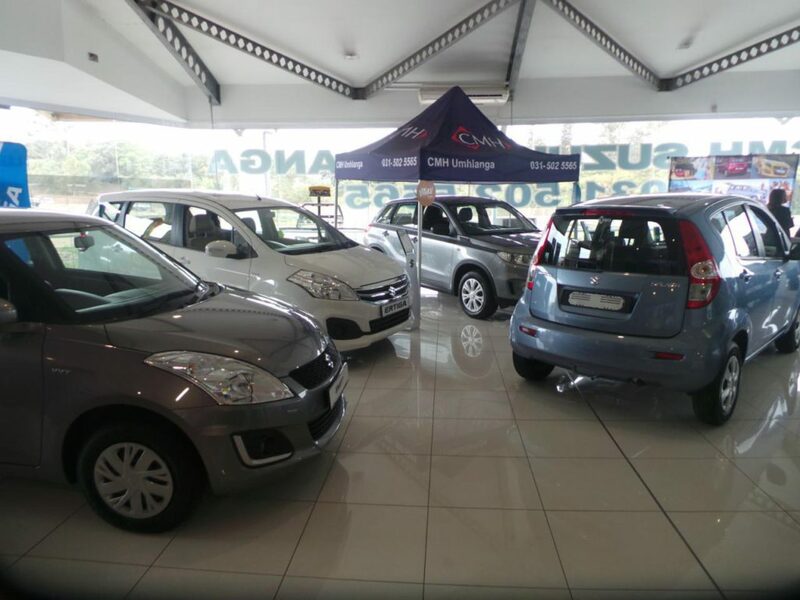 Suzuki customers will find that their shopping experience with CMH Suzuki Umhlanga will be stress free. That’s because we provide you with all of the research you require in order to make an informed decision for your next auto purchase. We will also reduce the amount of time it takes to finish paperwork, so you’ll be able to test drive all of the models you’re considering. CMH Suzuki Umhlanga presents shoppers with the most value possible when trading in their current vehicle in order to aid in the purchase of their next auto. You’ll get an honest appraisal from one of our expert evaluators since we know how important your trade in is to you. 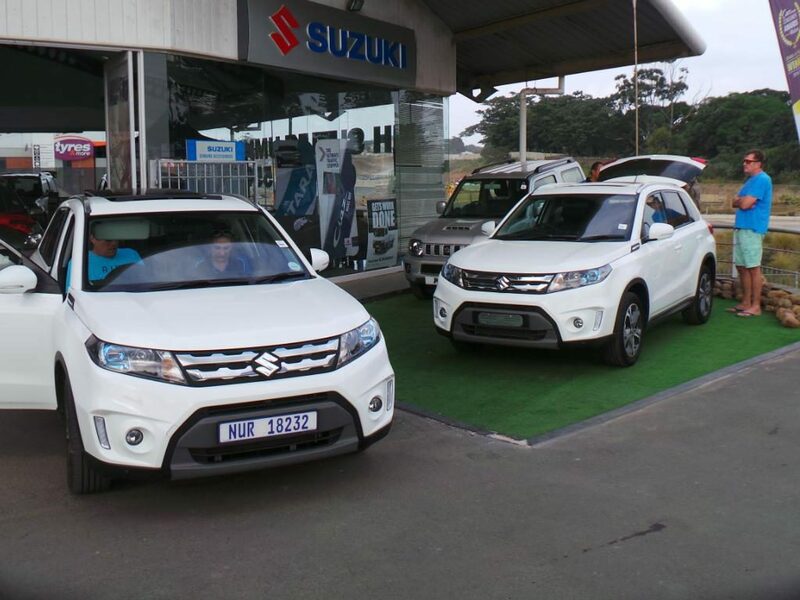 Customers heading to CMH Suzuki Umhlanga will be able to choose from an array of awesome new Suzuki models. From the Budget Car of the Year Celerio, internationally iconic Swift, energetic Ertiga MPV, Compact Family Car 2016/2017, the vivacious Vitara, bigger & bolder Grand Vitara, to the ultra-reliable Super Carry light commercial vehicle. Our pre-owned inventory consists of low mileage and thoroughly-inspected vehicles at affordable prices. Our Super-Suzuki Sales Team consisting of veteran Suzuki Sales Executive Mr Luke Stoffels and awesomely-friendly colleague Ms Annelin Burger will gladly assist in finding and selecting the most suitable Suzuki vehicle according to your personal needs, budget and desires. 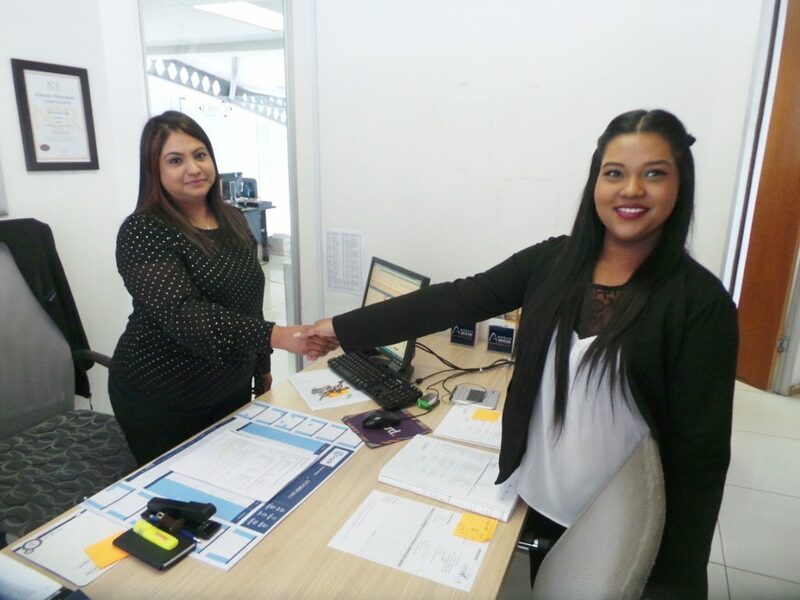 Thanks to our knowledgeable and vastly-experienced sales team, you will always be offered the latest information and specials when dealing with CMH Suzuki Umhlanga. 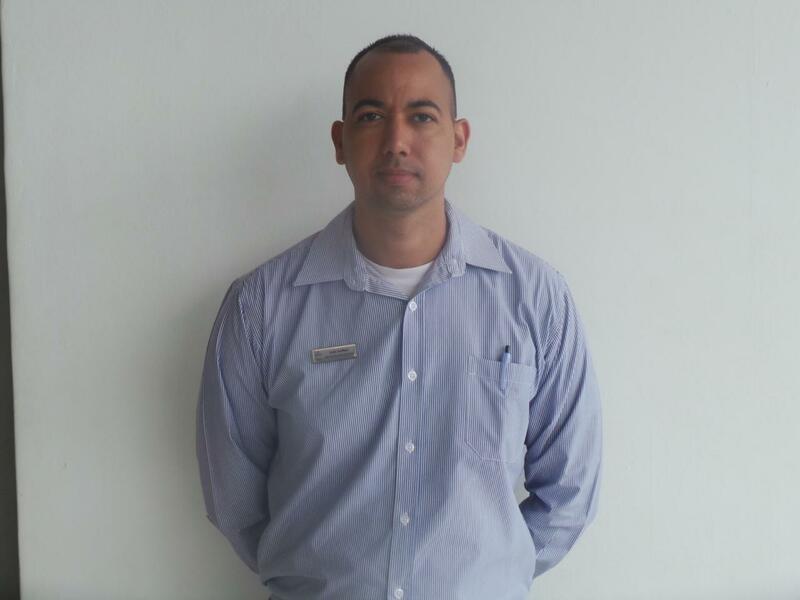 Our service consultant Fezile Masinga whom eats and lives Suzuki will ensure the most pleasurable experience when you service your vehicle with us. From a simple query to ordering of a specific part for your beloved Suzuki, we strive ourselves on quality and courtesy. When you need maintenance or repair work done, you can count on our service staff to make sure that your vehicle is well taken care of and kept running smoothly. We offer hours as early as 7:30 am, so CMH Suzuki Umhlanga car repair customers can either schedule an appointment or come on down to our workshop to get top-notch service. CMH Suzuki Umhlanga customers can take advantage of our in-house financing team that will work every angle to get customers behind the wheel of the vehicle that they desire. You can leverage the relationships we have with lenders in order to get a customized financing plans based solely on your needs. CMH Suzuki Umhlanga Parts Department stocks a huge selection of genuine Suzuki parts at our onsite center. We have model-specific parts in stock right now and are willing to install them for you if need be. 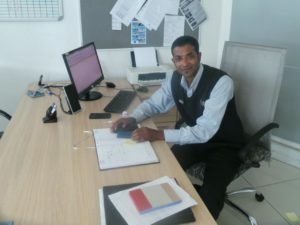 At the helm of the CMH Suzuki Umhlanga vessel you will find the infamous Suzuki stalwart and manager, Mr Devan Kannipan. With 23 years of experience in the motor industry and 7 years with the Suzuki brand, there isn’t a better man to speak to regarding Suzuki. Hands-on and actively involved with the dealership’s progress, Mr Devan Kannipan brings incomparable expertise and wisdom to CMH Suzuki Umhlanga and the Suzuki brand. Expect nothing less from CMH Suzuki Umhlanga. Find us at 89 Flanders Drive, Mt Edgecombe. Give us a call on 031 941 1319 or follow us on Facebook, Google+ and Twitter to get the latest news and specials. Team CMH Suzuki Umhlanga would like to extend a very warm welcome to Annelin Burger whom will be joining our awesome Suzuki new vehicle sales team. 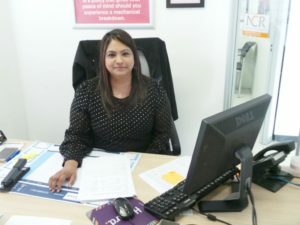 This bubbly and charismatic lass has accumulated vast experience within the motor industry and has developed crucial interaction and after-sales acumen that has already set her on the correct occupational path. 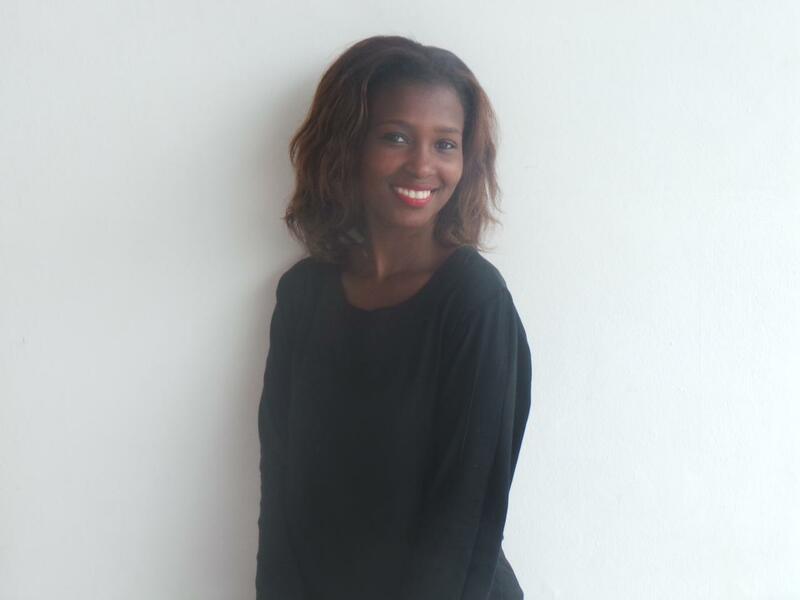 With confidence that shoots through the roof and a vibrant personality makes Annelin a star in the making! Being a mother of 3 has also enabled her to perfect her organizational skills and has fine-tuned dealing with pressure to the Tee. Socializing, sketching, dancing and an avid interest in other cultures and cuisines makes Annelin an open-minded and diverse individual with a hint of curiosity. She brings to CMH Suzuki Umhlanga well-developed and valuable skills that will surely be displayed. Pro-active, quick-thinking and the ability to adapt in any situation are tools that Annelin will use to start delivery Suzuki’s! A culmination of ambition and passion has surely instilled great sales skills and work ethics in Annelin, paving the way for many more years of incredible success! We at CMH Suzuki welcome you and wish you all the best in your new endeavour! Japan’s favourite maker of compact cars this week received two significant awards at the CAR Magazine Top 12 Best Buys Awards, which will now take their place on the company mantelpiece next to equally significant awards received at the WesBank / Cars.co.za Consumer Awards in January. At CAR Magazine’s gala banquet, which also celebrated its 60th birthday and its position as South Africa’s best-selling automotive magazine, Suzuki received CAR Magazine’s nod as the Company to Watch in 2017. This sought-after honour was awarded after significant consideration by CAR Magazine’s panel of judges and it considers both the company’s recent performance and prospects. CAR Magazine’s Company prize echoes that of the Wesbank / Cars.co.za Consumer Awards, which was held on 19 January this year, where Suzuki walked away with the evening’s top prize as the Brand of the Year. For this award, only customer feedback is considered and Suzuki beat five other brands to the top spot. 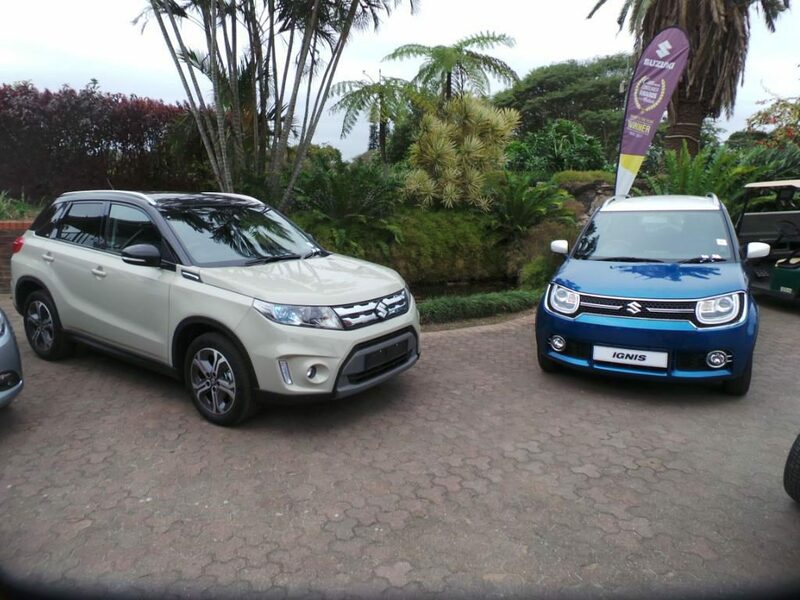 As well as receiving the prestigious Brand Of The Year at the Cars.co.za Consumer Awards, Suzuki South Africa took home two category wins with the Suzuki Vitara 1.6 GL+ winning Compact Family Car of the Year and the Suzuki Celerio 1.0 GL winning Budget Car of the Year. In order to have been eligible for the Compact Family Car award, contenders had to meet the following criteria: a list price of between R250 000 and R350 000 at the time of semi-finalist voting (September 1 2016), including the cost of any of the following features (if they were optional): ABS, electronic stability control, a minimum of four airbags, air-conditioning, split/folding rear seats and a service plan. The most important judging factors were: balance of fuel economy and performance, space and practicality, design and quality appeal, occupant comfort and safety features. 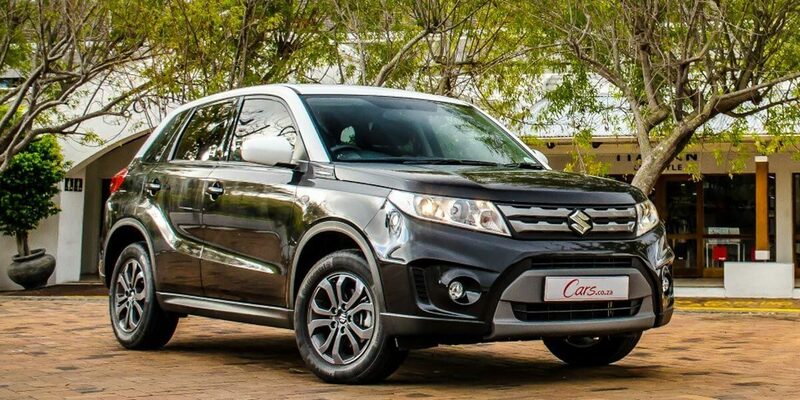 “The Vitara is an excellent all-rounder, with a level of practicality that you’d expect from a bigger SUV, as well as a smooth engine which delivers excellent fuel economy.” — Ciro de Siena, automotive journalist at Cars.co.za. The Vitara managed to beat strong competition from the likes of the Nissan Qashqai 1.2 Visia and Renault Captur 1.5 dCi Dynamique who took 2nd and 3rd places respectively. For Compact Car Of The Year entrants had to have a list price of R160 000 or less at the time of semi-finalist voting (September 1, 2016), including the cost of any of the following features (if they were optional): ABS and dual front airbags. The most important judging factors were: fuel economy, value for money, practicality and brand strength. 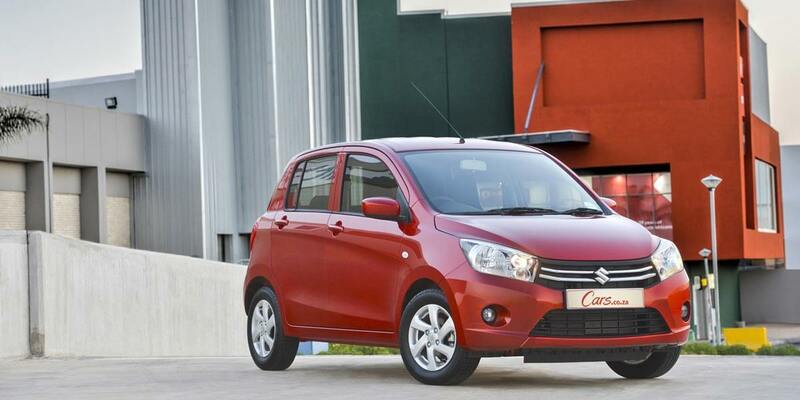 “Although the Celerio is not the most spacious car in its segment, its standard specification list is long, the engine feels surprisingly perky and Suzuki’s reputation counts for a lot.” — Mike Fourie, Cars.co.za. Runners-up included the Renault Sandero Expression and Toyota Aygo 1.0 X-Play. “We are very proud of these overall awards, as it reflects the opinion of industry specialists and the public at large. 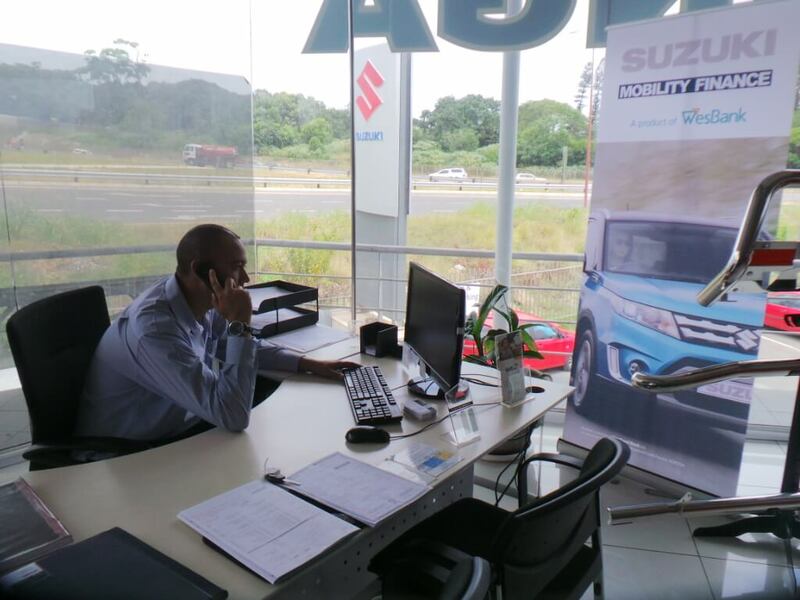 These awards, as well as the product specific accolades, are very welcome public recognition of recent years’ hard work to improve our model range, pricing and customer service,” says André Venter, divisional manager for sales and marketing at Suzuki Auto South Africa. Apart from the corporate recognition, the Suzuki Celerio 1.0 GA was singled out as the Best Budget Car by CAR’s panel of judges. It beat two other finalists in the category, which is one of only two categories where specific models are pitted against each other. Both CAR Magazine Top 12 Best Buys Awards and Wesbank / Cars.co.za Consumer Awards combine professional scoring from journalists and a panel of celebrity judges with a comprehensive consumer survey, which included thousands of questionnaires collected from September 2015 to October 2016. For the prestigious Brand of the Year was determined solely by the manufacturers’ ratings in the Cars.co.za’s Owner Satisfaction Survey, allied with market share change and resale value statistics per vehicle brand (supplied by Lightstone Auto). This recognition of Suzuki Auto South Africa, parallels the feat achieved by its British counterpart, which was recognised as the “most improved organisation’ in The Institute of Customer Service’s annual UK Customer Satisfaction Index in 2016. “The recognition we received at these two prestigious awards will set the tone for a busy year for Suzuki in which we further improve our customer service and dealer network and expand our range of products,” says Venter.